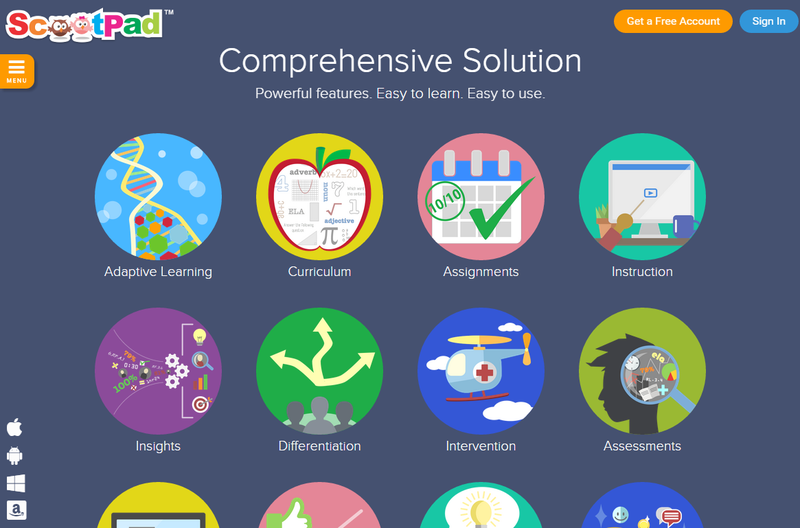 New Homepage: Super Simple & Intuitive! 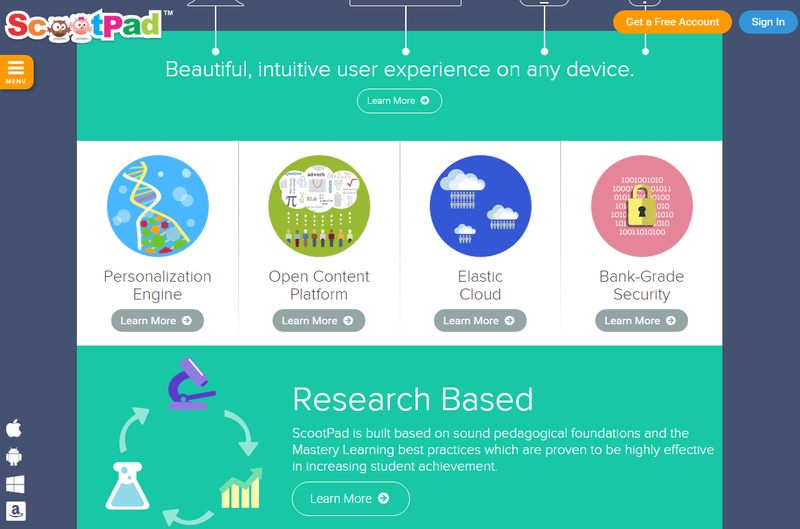 We just launched our new homepage with an entirely new design. 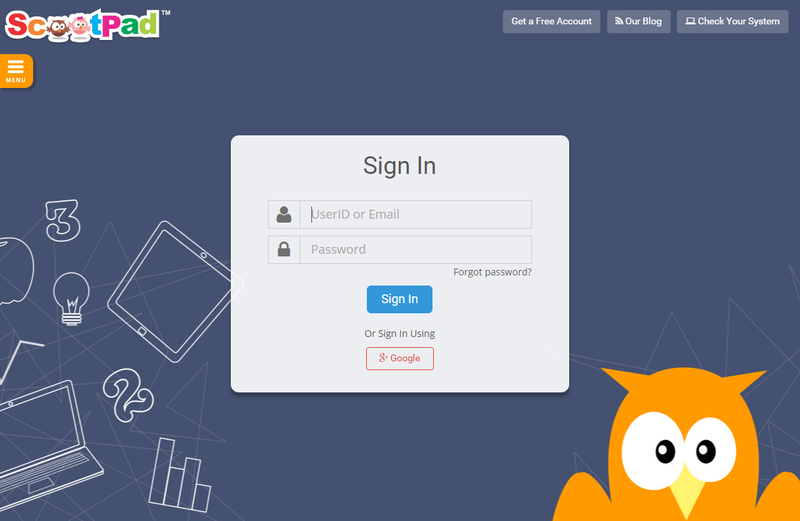 Boasting a simple yet colorful theme, ScootPad.com is now more engaging and easier to navigate than ever. Here’s a quick walk through of the changes we’ve made. 1. We’ve reorganized our features and information all on the Solution page to make it a more intuitive experience. 2. 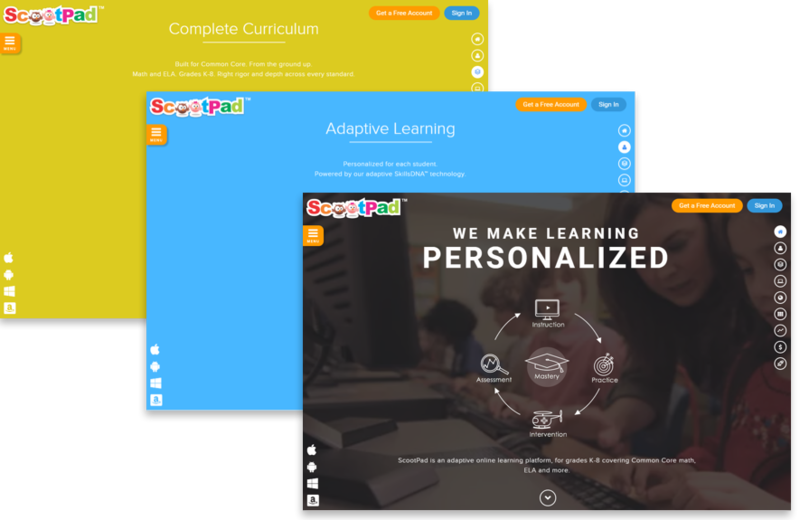 You can find detailed information about the technology that powers the ScootPad platform by visiting our Platform page. Read up on the research behind ScootPad, what makes us adaptive, how we scale on different devices, and our bank-grade security. 3. We make our pricing transparent and simple. 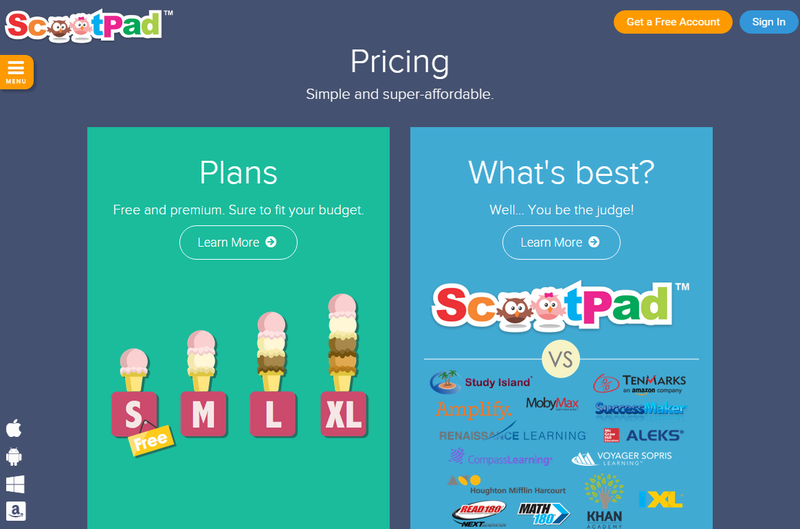 So, we revamped our pricing page to better reflect it. Not sure which plan is best for you? Don’t worry, we have them side-by-side for you to easily compare. 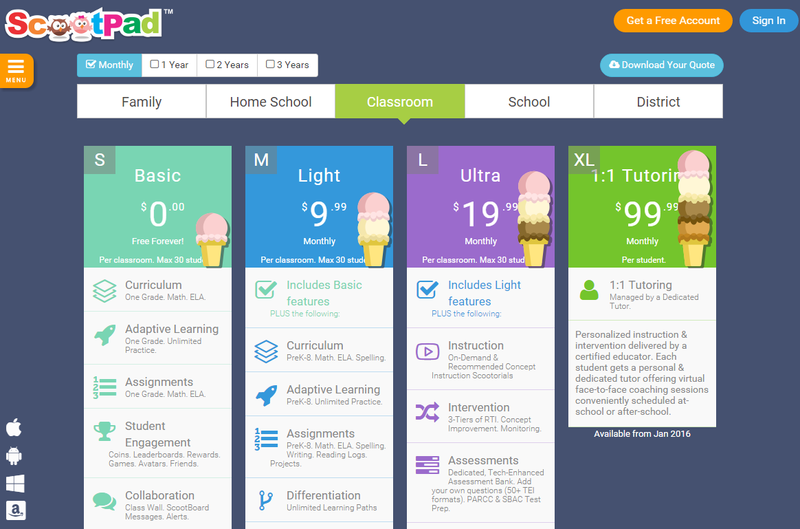 On the Pricing page, click on Learn More under Plans. Select the term (1 month, 1 year etc.) and watch the prices dynamically update. You can also download your quote from this page. 4. Inspired by the number of requests we receive, we’ve spent over 100 hours to assemble a product comparison chart to help you easily compare ScootPad side-by-side with other products. This should help you make the best decision for you and your students. 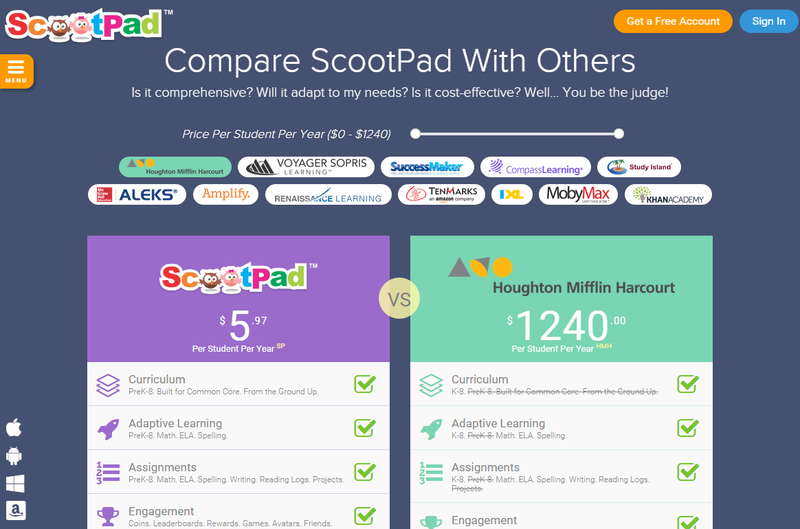 Check out our comparison page. Use the toggle at the top to filter products by price range or just click a product logo to compare it side by side with ScootPad. Go for it, we’re not afraid of a little bit of competition. 5. We receive a steady flow of user feedback each day and we think it’s important to share it with our users. Sit back and watch comments from the ScootPad community chime in from all over the world and read what others have to say about us on the Results page. 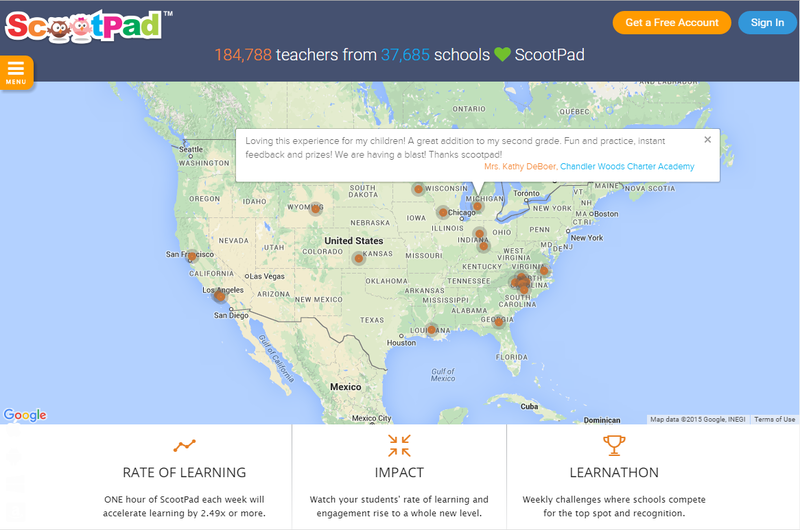 You’ll also find links to the rate of learning, the impact ScootPad is making, which schools are leading the Learnathons, and insightful case studies. Explore our new look for yourself! Feel free to reach out and let us know what you think. There is always room for improvement and we always welcome your feedback and suggestions.